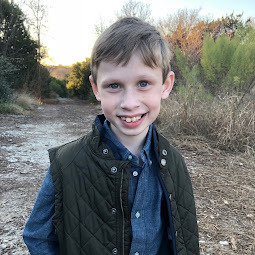 Bennett Brinson Gamel: Fighting Cystic Fibrosis: The future of our family. 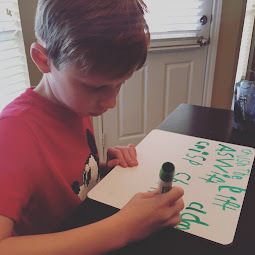 We have been asked many times whether or not we are planning to have more children now that we know there is a 25% chance we would have another child with CF. We have decided that at this point, we do not plan to have any more biological children. Our decision not to have any more biological children was a thoughtful one but also an easy one. Years ago we discussed and decided that should we find out we were carriers of a serious genetic disease, we would not likely continue to have children (ironic that we actually had a conversation like this...and it happened). 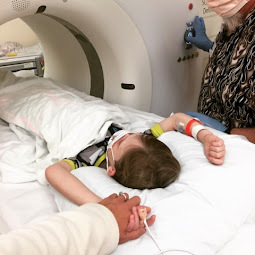 Almost as quickly as we heard Bennett's diagnosis, we knew Bennett would be our last. For us, it is a decision to not knowingly risk putting another child through having such a difficult disease. 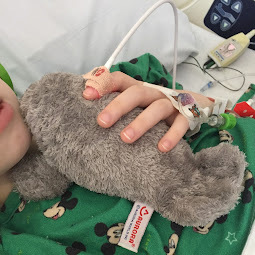 While we have a 75% chance that we would not have another CF child, a 1 in 4 chance is too high for us to want to try again. This decision certainly does not negate the fact that we love Bennett. He is very much wanted and valued - CF or not. However, it would be very painful for us to have another child knowing there is a good chance they will spend much of their life struggling just to live. We do see this a great opportunity, though, to more seriously consider our desire to adopt at some point. For several years, we have talked about wanting to adopt but we wanted to wait until first we had children of our own. (We wanted to make sure we tried out our parenting skills on our own children before we relinquished them on someone else's.) If we adopt, we hope to adopt a little girl since we have been blessed with two very fine boys. It will be another 2 or 3 years before we actually decide whether or not we will expand our family through adoption. Such an important decision will not be made unless Oliver and Bennett's emotional, physical and medical needs are able to be met. We feel a great responsibility to fully care for them first before adding a new little soul to our family. * indicates that we're 99.9% sure. However, no tubes will be tied yet since we have been advised not to make such a permanent decision during a time such as this. We will physically leave the option open but in our hearts, we're feeling complete with our two biological and very loved boys. My sister in law and her husband are doing concurrent adoptions from Taiwan and China. Both children will be girls. It's a great thing to do, we've talked about it before ourselves. Of course, this one needs to be born first and we'll go from there. It's a long wait right now for children from China, after they tightened their regulations the number of children being "sent out" each month fell and they've been waiting for several years now. Oh Breck, you would be an excellent family to adopt! I should know! I can only imagine what a difficult decision this must be. However, God has a plan for you. You have two wonderful boys. And maybe, just maybe, God has more children in store for you. Adoption is a wonderful blessing as well. It takes special people to adopt - and you and Brian are just that! My aunt and uncle did and they are the perfect parents for my cousin, Philip. If you choose to do so, I think you would make wonderful adoptive parents.